FRED DE SAM LAZARO, correspondent: Back in 1970, when this wide-body DC-10 first went into service, war was still raging all around this airport in Hue, Vietnam. In the town center, there are still reminders of the conflict that ended 40 years ago including an exhibit of captured American military hardware. But at the airport, a very different reception: The DC-10 crew got a flowery welcome. Then they quickly got to work on board. DR. AHMED GOMAA (Medical Director): We convert this airplane into a fully-equipped eye hospital, state of art facility. We have a team of 22 professionals covering all what is needed to run the hospital. DE SAM LAZARO: Dr. Ahmed Gomaa is medical director of the Orbis flying eye hospital. Started in 1982 with grants from the US government and from corporate and individual donors. It has visited 92 countries. This is the sixth visit to Vietnam. Many of the staff are volunteers, including the pilots. Nurses and doctors do hands-on care during the week-long visit, but the main goal is training—to sustain care long after they leave, says California-based surgeon Mary O’Hara. DR. MARY O’HARA: This is very, very different than being the great white surgeon who comes in and does some magical surgeries and then leaves without imparting any of the magic to the surgeons in the community. It's teaching the doctors the surgical skills to go forth and do good things for the community, and also teach other doctors, so there's a ripple effect. DE SAM LAZARO: So well before the plane arrives, Orbis has alerted local eye care providers who in turn alert likely patients. 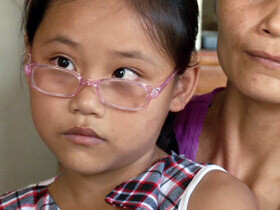 For 8-year-old Thuy, it’s a rare chance at surgery for her strabismus, or lazy eye. THUY’S MOTHER: We took her to see the doctor four years ago. THUY’S FATHER: We were afraid to even ask how much it would cost. DE SAM LAZARO: Thuy’s father is disabled. Her mother earns less than two dollars a day gathering and selling recyclables. THUY: I hope the doctors can help me. I don’t want to be cross-eyed any more. DE SAM LAZARO: Strabismus is common, affecting perhaps four percent of all people. Patients can lose sight in the wayward eye and depth perception. There also are painful psycho-social effects, says Dr. O’Hara. DR. O’HARA: We're keyed to be attracted to symmetry and repulsed by asymmetry on a very subconscious level, and people who have crooked eyes tend to be down-rated in society. DE SAM LAZARO: Just because of the appearance of that person. DE SAM LAZARO: Six-year-old Van doesn’t seem affected by social stigma, at least not yet. VAN’S FATHER: Her life is pretty normal. She gets teased a bit, but her life is pretty normal. DE SAM LAZARO: Van’s parents also struggle to make ends meet and cannot afford surgery. VAN’S FATHER: We had been to a doctor three years ago. They said wait for a charity group to come. DE SAM LAZARO: The next day they and others gathered at the local eye hospital for screening. About 75 patients are being screened here at the local hospital. Some 45 will be chosen for surgery or laser treatment, based on a variety of criteria. They need to be particularly good, teachable cases. Young patients with good prognoses have priority, as do those in danger of losing their sight altogether. Orbis volunteers, surrounded by local doctors and students, assessed patients with various eye diseases, including diabetes-related conditions, glaucoma, and strabismus. DE SAM LAZARO: Thuy, it turns out, wasn’t a good candidate for surgery. Dr. O’Hara says she needed more “patching” therapy, in which the good eye is covered up so the wandering one can be exercised. DR. O’HARA: We really need to have her in her glasses and have her amblyopia treated, and then think about surgery. DE SAM LAZARO: The let-down was plain to see on the faces of Thuy and her mother. THUY’S MOTHER: Of course we’re sad, seeing my daughter sad. We were hopeful working with these people, so it’s a little sad that nothing came of it. DR. O’HARA (speaking to local doctors): And is she otherwise healthy? DE SAM LAZARO: It was Van’s turn. DR. O’HARA: See how much bigger the exotropia is here than down here? DE SAM LAZARO: And happier news. DR. O’HARA: I would do 10mm bilateral lateral rectus recessions. DE SAM LAZARO: Meaning Van would get surgery on both eyes to bring them into alignment. 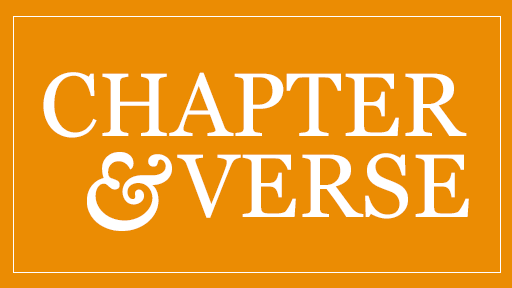 The next morning, as she and her father walked up to the airplane, lectures were already underway in what normally is the first-class section. It’s now a 48-seat classroom. In the back, the team led by Dr. O’Hara was preparing. NURSE: Are you ready? Does she have any allergies? VAN’S FATHER: (through translator) No. DE SAM LAZARO: No allergies and clearly no fear. As she underwent a 90-minute procedure, it was followed closely on video screens in the classroom. While there are more economical ways of teaching doctors such as using video links or even flying trainees to Dr. O’Hara’s California hospital—Orbis says a key part of its mission is to raise awareness of eye disease, often neglected amid myriad other challenges in developing nations. DE SAM LAZARO: Dr. Gomaa says the plane’s sheer gee whiz factor attracts visits from influential officials in the host country. DR. O’HARA (in operating room): Slow, good, up, beautiful! DE SAM LAZARO: For Van's procedure, Dr. O’Hara guided local surgeon Thao Phuong. DR. O’HARA: The surgery went fine. The person I was training on this particular surgery had done surgery before, and she was very good and attentive, listening to instruction and following instruction. DR. THAO PHUONG: Dr. O’Hara was very clear in her instructions. The whole process, from tiny things, from anesthesia—it was very detailed, step by step. DE SAM LAZARO: She and other local doctors hope Orbis will help them expand care to allow families like Thuy's to get help. For its part, Orbis needs a lot of money to run its operation, but it gets almost as much in kind through volunteers, like pilot Bob Rutherford. BOB RUTHERFORD: You see things that you never see in life. Young children who’ve never had vision—they have their sight restored. Older people—Orbis is very good about charity for the elderly and charity for the young. Those things really kind of pull at your heartstrings, makes it easy to do. DR. O’HARA: Every life matters, and every life matters equally, and when you come here and you do this, you're reaffirming that. DE SAM LAZARO: The morning after surgery, Van was still puffy and a bit groggy. But just a few days later, Orbis sent us this video of Van—a child who, in Dr. O’Hara’s words, had “symmetry” restored to her life. For Religion & Ethics NewsWeekly, this is Fred de Sam Lazaro in Hue, Vietnam. Started in 1982, Orbis International’s flying eye hospital is a fully equipped, state-of-the-art hospital built inside a former military airplane. Its staff is made up of volunteer surgeons, nurses, and pilots, and together they fly to developing nations to perform low-cost eye surgeries, but just as importantly, to teach local doctors how to do the same. 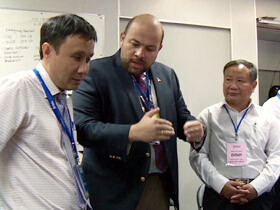 When the hospital was in Vietnam recently, correspondent Fred de Sam Lazaro spoke with some of the doctors and the patients they were helping.